I promised on Facebook and Instagram that I would bring you this soup recipe. And then I promptly went on with my life, while you sat, suspended in time, waiting for the recipe to drop. Time passed. Days went by. Leaves fell from the trees. And finally, when all hope was seemingly lost, April looked up from what she was doing and thought “Oh yeah, soup”. I apologize leaving you hanging. Especially with the cold weather we’ve been enduring. 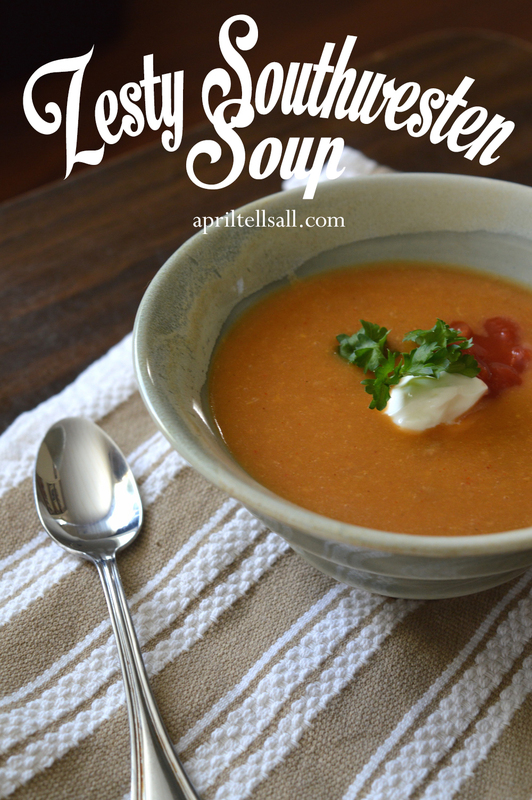 I truly believe we all need more soup. So let’s do this. 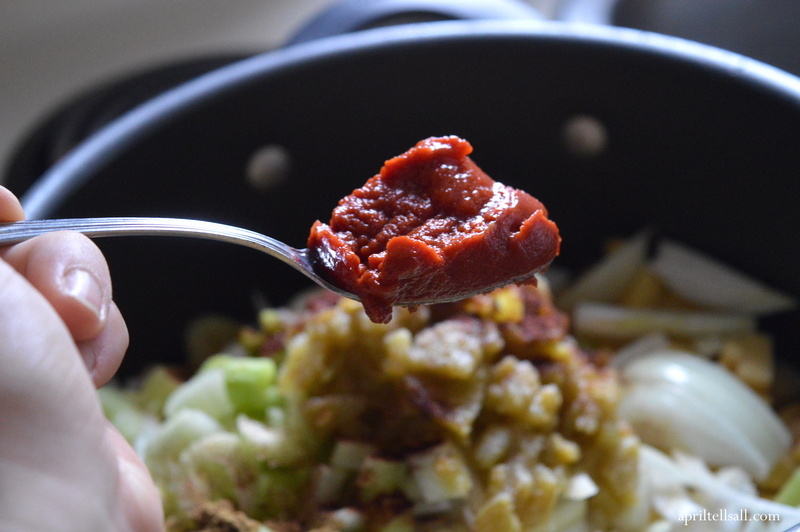 1/2 teaspoon of chipotle powder (or cayenne pepper) – omit if you don’t like things spicy. Firstly, you will notice that I was pretty precise on the measurements, when usually I’m pretty loosey goosey. That’s because we’re going to blend this soup and you want the texture to be right. I still don’t follow all the rules, so if you have 2 slices of celery over 1 cup no big deal. Your kitchen your rules, man. Also, I highly recommend chipotle powder in this soup! Chipotle has become my very favourite of chilis to spice things up with. 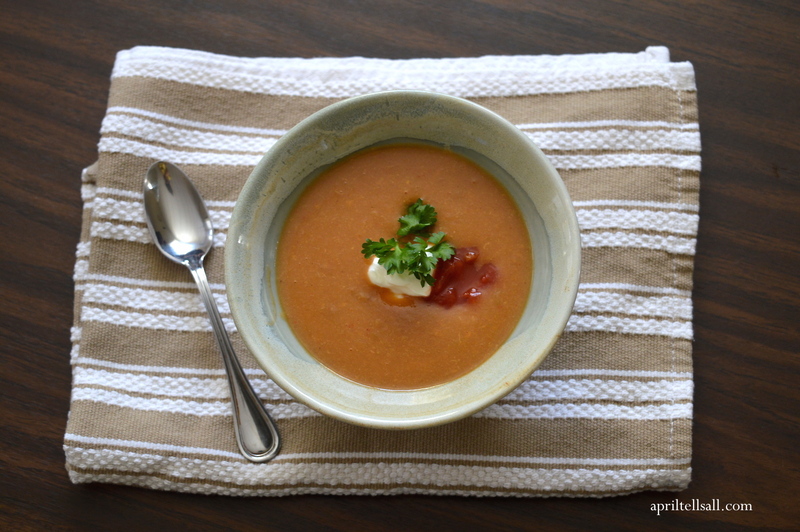 It lends a certain smokey flavour to the soup that can’t be achieved with regular cayenne pepper. If cayenne is all you have then by all means use it, but it is worth it to try and find chipotle powder (I buy it online, or at the bulk barn). 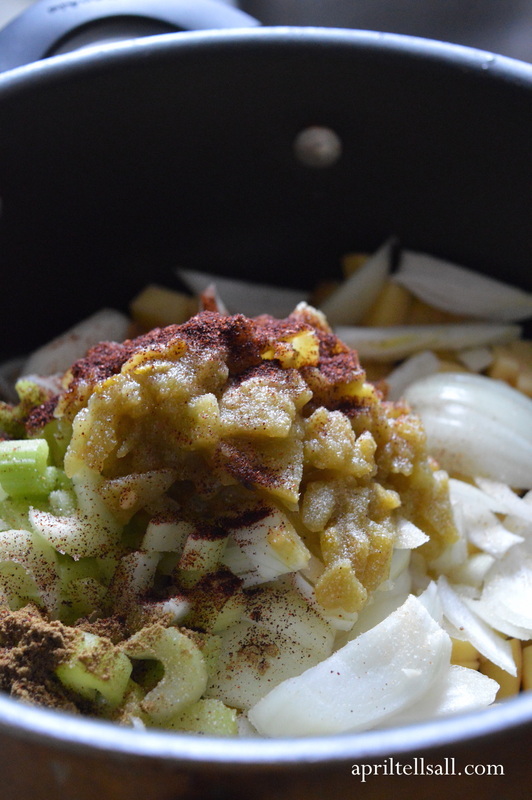 Step 1: Place the potatoes, onion, celery, green chilies, tomato paste, garlic, chili powder, ground cumin, and chipotle powder into a large pot. Step 2: Pour the stock over everything, give it a good stir, put the lid on and let simmer over low heat for an hour, or more if you have the time. This is one of those soups that you can put on the stove first thing in the morning and let simmer and mingle for much of the day. 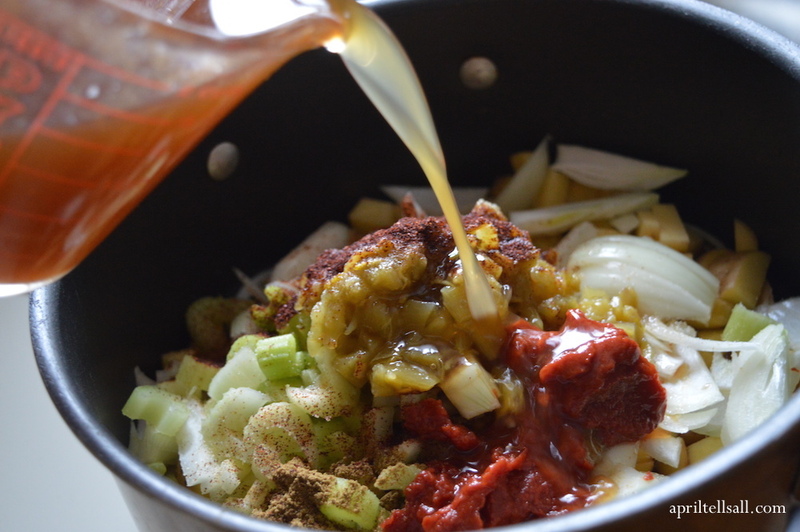 It gives the spices time to settle in and create the deep flavour that we are looking for. Step 3: When the potatoes are tender, carefully blend the hot soup in a high powered blender (or with an immersion blender) until smooth. 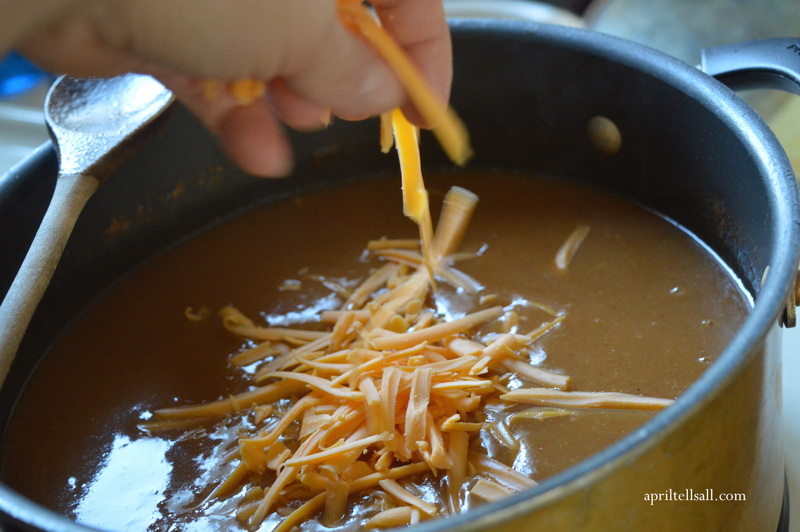 Step 4: Add the cheese and stir until the cheese has melted and incorporated into the soup. 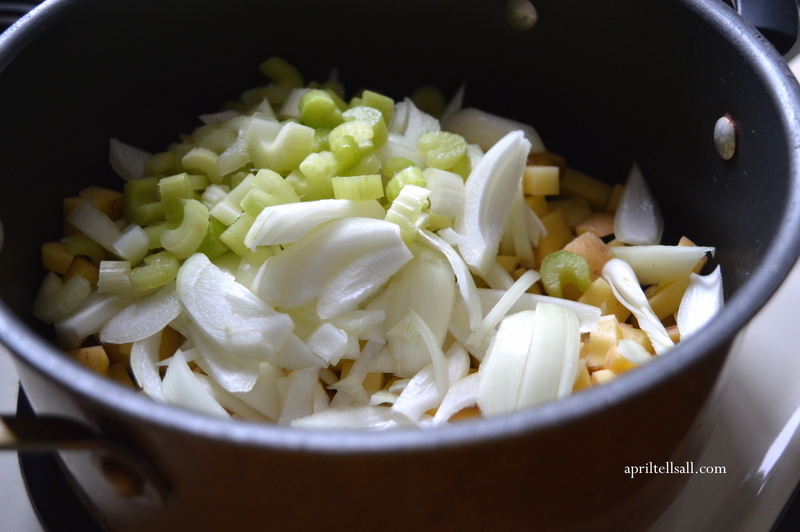 And Finally: The great thing about this soup is it lends itself to tons of toppings. Cheese, salsa, sour cream, cilantro (or parsley if you have a cilantro hating man in your house, as I do), crumpled up tortilla chips, it’s all good! I usually have more toppings on my soup than I do soup. And every bowl can be different. There it is. 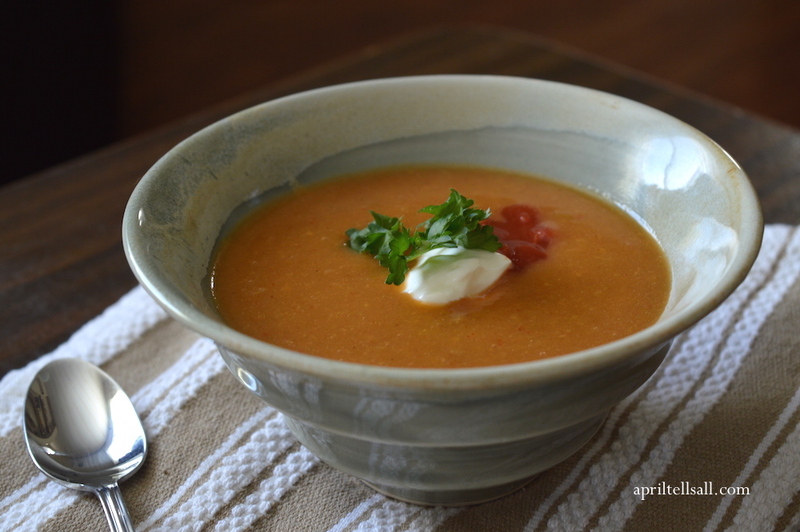 Zesty Southwestern soup to help warm your ol’bones. On a completely different note, the first goat kids of the season are expected in 2 months (Chelsea is starting to get the Mama waddle walk), and seed starting day is a mere couple of weeks away. Time to spend some serious time with my seed catalog. 50 different varieties of tomatoes? I think yes. March can’t come fast enough. Until then, let us eat soup.